I’ve finally received my May tour dates to support the fantastic finale to the WondLa trilogy. 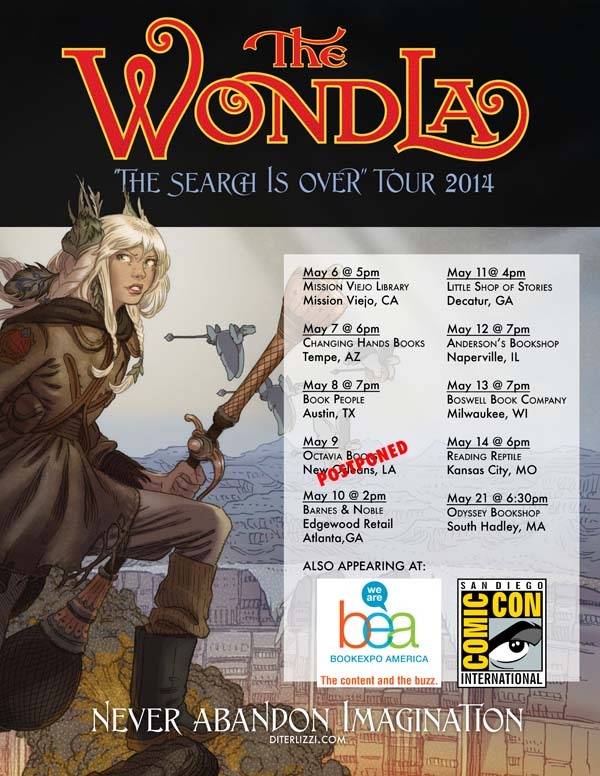 My presentation includes drawing and discussing how the WondLa books came to be. Attendees will receive the third limited edition WondLa sketchbook for free. And, of course, I will sign just about any book (or gaming materials) that you bring – though different stores have different signing policies, so its best to check with them beforehand. 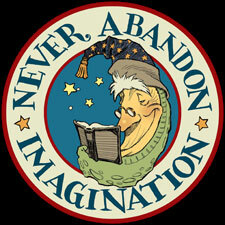 As well, Angela and I will both be attending the LA Times Festival of Books in April at the USC campus. Though The Battle of WondLa will not be available for sale then, I will be signing all my previous titles. Hopefully I’ll see you there! March 31st: UPDATE: The Shreveport event with William Joyce was postponed due to a scheduling conflict, so I’ll be in the Atlanta area that weekend instead. Also, as hoped, we’ve added an event for our local friends at the Odyssey Bookshop. See you in May! April 29: UPDATE: The Octavia Books event in New Orleans has been postponed. However, I am confirmed for Book Expo America (in New York City) and Comic Con in San Diego. Details on those events to come.